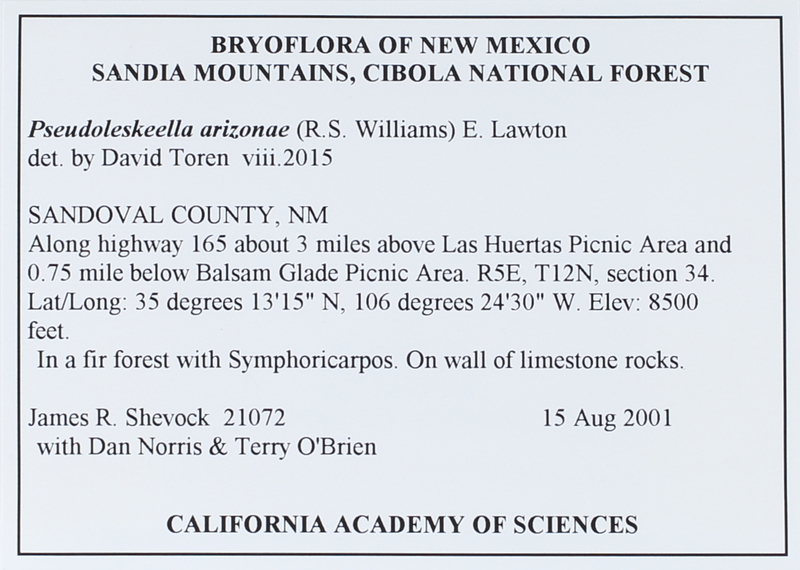 Locality: USA, New Mexico, Sandoval, Sandia Mountains, Cibola National Forest. Along highway 165 about 3 miles above Las Huertas Picnic Area and 0.75 mile below Balsam Glade Picnic Area. Substrate: On wall of limestone rocks.